"Caslav Air Force Base Open Day" from Taktische Luftwaffengeschwader 31 (TaktLwG 31 „B“) TLG31 "Boelcke" Nörvenich Air Base. 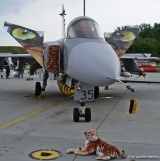 59th "Puma" Fighter Squadron from Kecskemet The JAS Gripen crashed in Čáslav on 15 May 2015 . 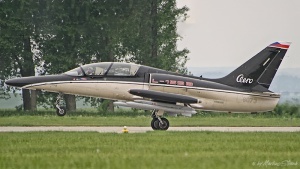 Kommentar: Special scheme celebrating the 10th anniversary of the L-159 ALCA in Czech AF service.